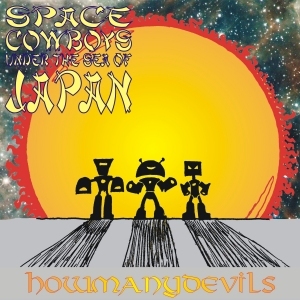 This entry was posted in Space Cowboys Under The Sea Of Japan and tagged 13/4, 5/4, 7/4, choir, HMD, HowManyDevils, I Heard You Calling But Alas I Did Not Answer, King Crimson, odd time signature, Prog, prog rock, Rock, Rush, SCUTSOJ, Space Cowboys Under The Sea Of Japan. Bookmark the permalink. I think of this song as the one I didn’t have much input in to, but really it was just different input. I had far less to do with the riffs and structure than I did on the rest of the album. I think here I what I did was decorate the house that the other two guys built, or some other silly analogy. I’m really glad with how the choir on the intro worked out though, after spending weeks telling Simon and Pete I’d fix it in the mix and we weren’t going to use synths for it – luckily – it did fix in the mix.